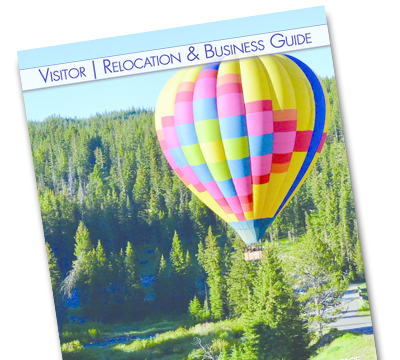 Bozeman has gained a reputation as an outdoor playground for a reason—the town is simply brimming with activities for adventure lovers, and the winter season is no exception. Two world-class ski resorts, Big Sky Resort and Bridger Bowl, are both within an hour’s drive of downtown and offer a combined 7,000 vertical feet and nearly 8,000 skiable acres. A plethora of backcountry and cross-country skiing are also nearby, meaning there’s plenty to occupy outdoor-folk, and the town offers a variety of dining and lodging for all budgets. Like most mountain towns, Bozeman doesn’t slack in its breakfast offerings. Outdoors-folk know that a hearty breakfast is fuel for the day’s play, and Bozeman offers a variety of morning meal options. The Nova Café features locally sourced ingredients in a trendy environment, and Main Street Overeasy is a classic, always-bustling spot for those seeking a hearty traditional breakfast. Coffee shops are also scattered around town for those seeking a quick break to the ski hills. Local-favorite Wild Joe’s Coffeehouse offers the best espresso drinks in town as well as quick breakfast burritos and sandwiches. After a hot breakfast, stop by a local outdoor stores Chalet Sports (just down the street from Wild Joe’s) or Roundhouse for ski and gear sales as well as tune-ups and rentals, and ask shop staff what’s been skiing well. For those seeking downhill thrills, Bridger Bowl is the local’s ski hill. Close to town, a vertical rise of 2,700 feet and 2,000 skiable acres of terrain offer enough options to keep even ski-savvy Bozeman residents occupied, and with an average snowfall of 350 inches, odds are good that visiting skiers will get a chance to sample the mountain’s famous powder conditions. One quad, five triple and two double chair lifts mean it’s easy to move around the mountain, and a terrain park keeps trick-happy athletes occupied. 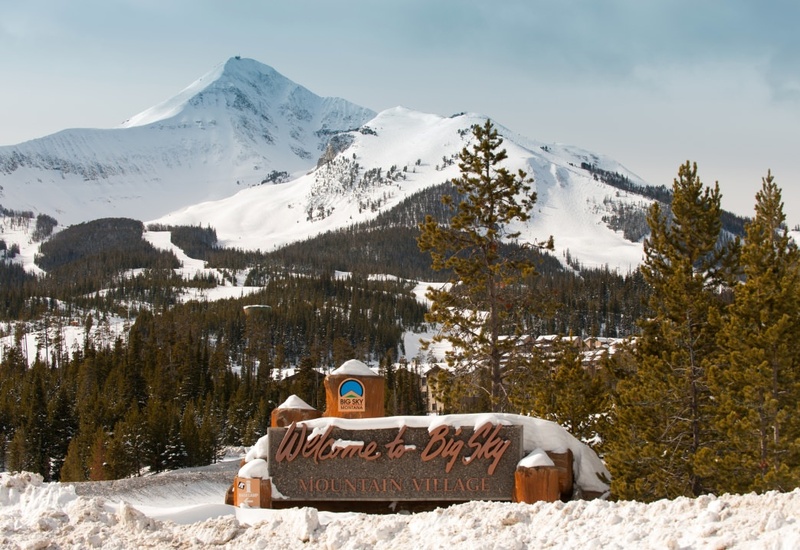 A 45-minute drive will take visitors to Big Sky Resort, which has the most acreage of any ski area in the United States. The resort is home to more than 5,800 acres of terrain and an impressive vertical drop of 4,350 feet. The resort encompasses four large mountains connected by chair lifts, and offers European-like skiing with powder stashes and easy access. After an adrenaline-boosting morning, it’s time to fuel up once more. Those who made the drive to Big Sky can take advantage of a variety of dining options, including quick and easy options at the mountain itself. In Big Sky Village, Montana Jack offers burgers and craft beers, and the Carabiner Lounge is home to large windows and a big deck, offering the perfect respite to relax and watch the snow fall. Those at Bridger Bowl are best served by bringing along snacks (parking lot grilling is a ski-hill tradition and a great way to socialize) or by making the short drive back to Bozeman. A stroll through downtown offers choices of burgers, sandwiches, Thai food, Greek food, steak…plenty of hot, filling options to prepare for an afternoon excursion. The Naked Noodle is a wintertime favorite, offering hearty pasta-based dishes that are served quickly in a casual atmosphere. 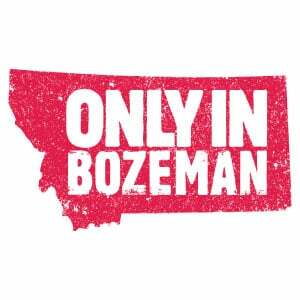 For those less altitude-inclined, Bozeman is dotted with urban cross-country skiing trails (ask at local shops for a map), or head to Bohart Ranch, located at the foothills of the Bridger Mountains, a mere 20-minute drive from downtown. More than 30 kilometers of trails over varying terrain are regularly groomed and offer both classic and skate-style tracks, and the facility offers relaxed, scenic skiing. Those looking to enjoy the wintertime quiet yet log a workout can find themselves snowshoeing through the woods. Hyalite Canyon, tucked a mere 20-minute drive south of Bozeman, is home to a myriad of trails suitable for wintertime exploration. Grotto Falls Trail #42, a short hike leading to a scenic frozen waterfall, is the perfect quick afternoon stroll for all skill levels. After a long day of playing in the snow, it’s time to enjoy a bit of Bozeman’s cultural offerings. A simple stroll through downtown Bozeman offers a broad variety of dining options, from the cheap and quick to fine local fare. Locals often gather at Montana Ale Works (ask for the off-menu parmesan fries) and Bar IX, an industrial-style bar with busy nightlife. The Cannery is a local’s favorite dive bar (Burger Bob’s next door offers cheap, quality burgers), and just down the street, Plonk offers a wide variety of wines, craft cocktails and well-executed global cuisine. Stop and shop at downtown stores — offerings range from outdoor clothing to fine art to tourist memorabilia. It’s been a long day, and odds are muscle soreness isn’t a new concept. Thanks to the geothermal qualities of the region, southwest Montana is home to an array of natural hot springs. Just 15 minutes from downtown, recently renovated Bozeman Hot Springs is a popular evening stop. Norris Hot Springs, 45 minutes away, offers a bit more lively atmosphere with live music, food, and drink. Both are a solid option for those seeking to soak away post-skiing soreness before the journey home. Can you finish all that in a day? Probably not, which is why you may need to plan a multi-day trip to Bozeman. When the snow comes, winter sports enthusiasts will never run out of ways to enjoy this beautiful part of the country.